Make the next Serious Sam game official. Developer Croteam is bringing the next entry, Serious Sam 3: BFE, to PC and consoles this summer, a "glorious throwback to the golden age of first-person shooters," they say. That's when "men were men, cover was for amateurs and pulling the trigger made things go boom," according to Serious Sam 3's official unveiling, which came with five fresh looks at the first-person shooter. The next Serious Sam will bring 16-player cooperative play to the campaign, which we're assuming will involve more shooting than strategy. 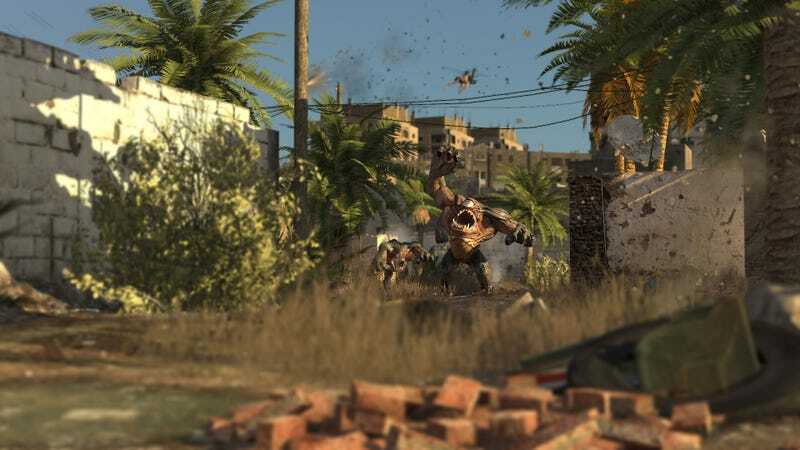 See what 22nd century Egypt looks like in the first very attractive screen shots of Serious Sam 3.